On Sunday May 1, 2011 at 11:35 p.m., speaking to a larger audience than at any other time during his presidency, Obama stated that Osama bin Laden was dead. Earlier that day, in the Pakistani city of Abbottabad, a team of U.S. Navy SEALs had descended on bin Laden’s compound and, after a 40-minute firefight, shot and killed the leader of Al Qaeda. 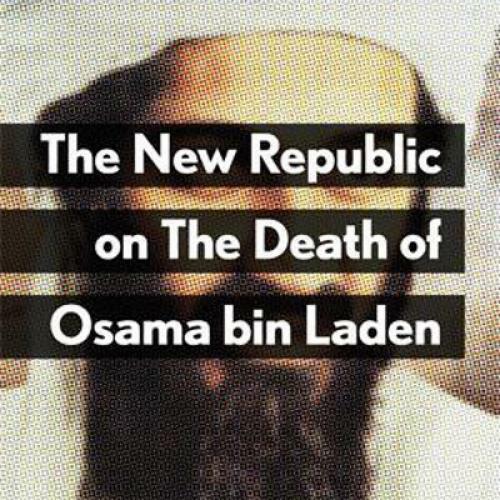 Over the course of the week that followed, The New Republic unpacked the implications, symbolic and substantive, of bin Laden’s death. Below is a selection of the best of those articles. Will his death hasten Al Qaeda’s demise? For conspiracy theorists, Osama bin Laden will always live on. If September 11 is a story, bin Laden’s death marks the only satisfying resolution possible. Could Osama bin Laden’s demise loosen the grip paranoid politics has on America? Understanding the symbolism of Osama bin Laden’s death in the history of American democracy. Three reasons the U.S. was able to kill Osama bin Laden. Sunday night ended ten years of self-doubt. Killing bin Laden Won’t Rid the U.S. of Paranoid Politics. Why have American novelists failed to tell convincing stories about terrorists? Osama bin Laden and our futile war in Afghanistan. He should confirm whether or not torture was used to find Osama bin Laden. The endlessly deepening crisis that is Pakistan.